DELUXE LP MARBLED BLACK/GRAY VINYL (LIMITED TO 500) SOLD OUT!! William Elliott Whitmore’s first long-form release on Bloodshot Records is a collection of 10 cover songs from artists who have influenced his 15 plus-year career. Each of the tunes offers a glimpse into how his attitude and aesthetic were formed, like a series of tattoos, scars, or other time-accumulated personal markings. Kilonova takes on a variety of musical heroes, both obvious and not, both well known and not, in a range of sonic forms. In the stark a capella take on Dock Boggs’ 1920s old-timey hit “Country Blues,” you can hear WEW at the pulpit, evangelizing the truth to his believers. The classic Harlan Howard country number “Busted” is updated with a swampy, bluesy version revealing a modern despair and necessary perseverance. For those who find a similarity between Whitmore’s voice to that of Captain Beefheart or Tom Waits, his equally erratic, demented and raspy-baritoned cover of the former’s “Bat Chain Puller” is the perfect medicine. 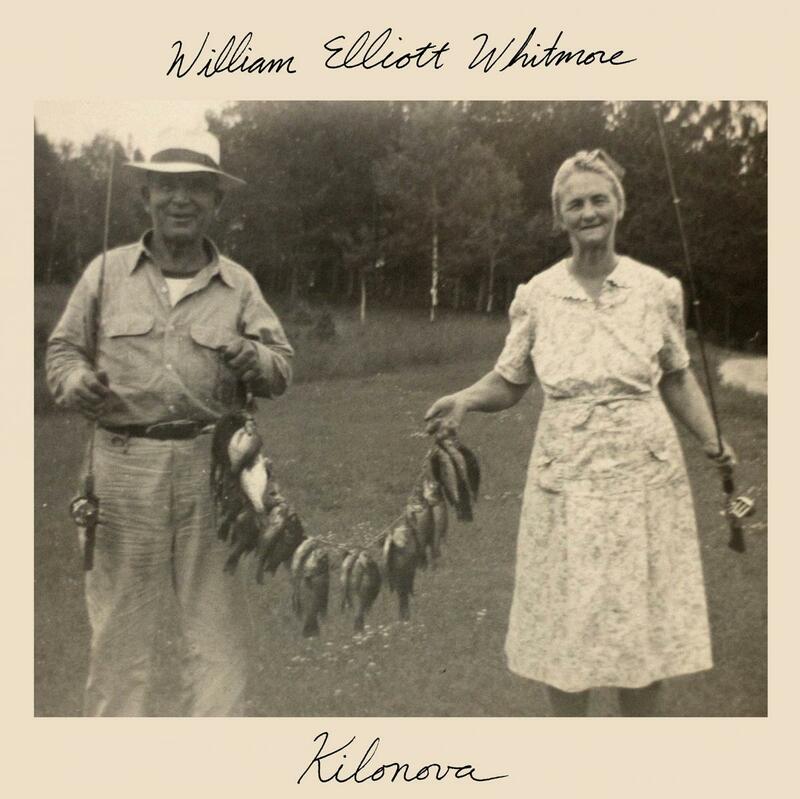 William Elliott Whitmore is a sum of this album’s parts, and it is clear that Kilonova comes as close to an original as a cover album can. In the journey of going from being a lover and fan of music, into being a creator of music, I've never lost the feeling of wonderment in hearing a great song. Like most people, I enjoy lots of different kinds. From the country music I grew up on thanks to my parents, to the punk rock and avant-garde bands I would discover later, it just always makes me feel good to hear a great song. This collection is something I've been wanting to put forth for a long time. A handful of these tunes I've been doing in my live sets for years, and it just felt right to give them a little home. A place where my interpretations can live and hopefully be enjoyed. I remember as a kid hearing Johnny Cash cover Harlan Howard's "Busted" on Live at Folsom Prison. Soon after that I became familiar with Ray Charles' version, and it was a revelation that a great song can be played in many different ways. Seems obvious now, but as a ten year old it was helping to shape my way of thinking of music. As a thing to be passed around and shared. I used to love when I'd hear Willie Nelson play "Georgia on my Mind" by Ray Charles. These were the greats, swapping tunes and swirling the waters. It helped me discover new artists too, thinking for instance, "Waylon's playing a song written by a guy named Billie Joe Shaver. What's he all about?" It was leading me down a path that I'm still on to this day. Some of these were written just a few years ago, and some were written in the 1930s. Some deal with themes that I think are important, and some are just fun songs to play. I am concerned with the state of things, as I'm sure people have been since the beginning of human consciousness. My way of carrying on and moving forward is through the sharing of art and music. I want to share these songs with people, simple as that. Whitmore doesn't just offer other versions here. He makes these songs distinctively his own through his varied approaches to the material. The strongest cuts are the ones in which Whitmore is channeling the spirit of the songwriter through his own experiences and the ones in which Whitmore is simply having fun. It’s Whitmore’s interpretations of some of the unexpected, like Bad Religion, ZZ Top and Magnetic Fields that truly make this record more than just another cover’s album. He manages to inject his own unique brand of gravelly-voiced Americana into each and every one of these tracks. There’s pain, hard-earned wisdom, and realism in Whitmore’s voice and it’s almost as if these songs were guiding posts along the way, or, one could think of them as scars or tattoos – songs that left an indelible impression. He imbues these songs with the same commitment and passion he does his original work, making this an essential addition to his catalog. Whitmore’s added enough of his own personality in these songs that they seem totally unique yet also like an old fave you hadn’t heard in ages. William Elliott Whitmore & Esmé Patterson are both critically acclaimed and beloved by their fans for their distinct voices and style of songcraft.